This lovely home features 3 bedrooms and 4 baths. 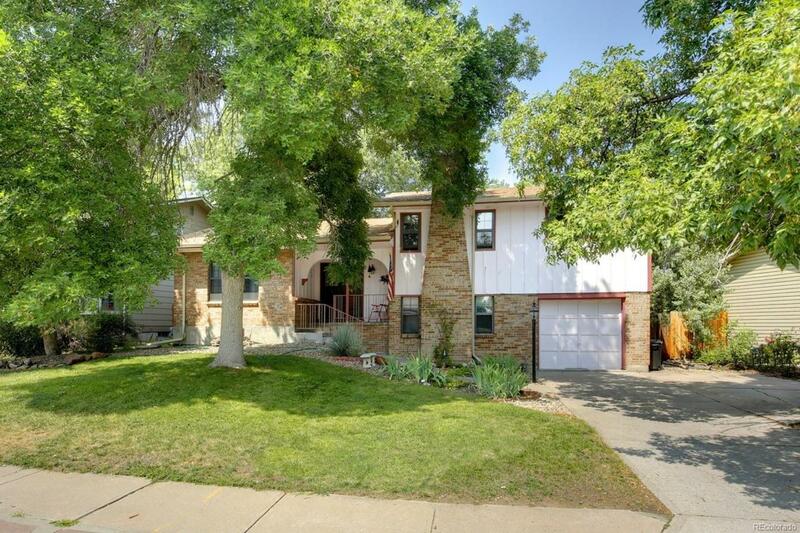 Desirable area close to light rail, dining, shopping and St. Anthony's Hosp. Easy access to Hwy 285, 6th Ave and I70. Open vaulted ceilings with French doors to back deck. Nice bright kitchen with all appliances and breakfast bar. Refrigerator, Stove./Oven, Dishwasher and Microwave Oven all included. Spacious master bedroom with 3/4 bath. Formal dining and living room. Family room features a nice brick wood burning fireplace. Easy walk to Addenbrook park. You will love entertaining and backyard bbqs with mature landscaping, plenty of awesome shade trees and fenced yard. New roof and gutters 2017. New sewer line 2016.